One of the biggest issues I have with it getting dark so early is the fact that many of my outdoor activities (like running with friends) take place after work during the week, which means I’m spending more time out and about well after the sun goes down. It’s not such a big deal, really, but it does require a little more planning in order to stay visible and safe. With that in mind, here are a few tips and tools (which companies have sent me to review — but all opinions are mine and mine alone!) that can help you out once Daylight Savings Time ends. I’ve tried a lot of different lights, and I have to say that the Knuckle Lights really stand out from the crowd for a few reasons. My go-to has always been a headlamp, but in order for that to feel comfortable while running, I have to wear a hat — the fact that these go on your hands (and can fit any size hand, even over gloves) is super cool. And it’s not like you’re actively holding them, either. They use soft silicone straps to stay in place, so you can still grab a sip of water or hold a dog leash. 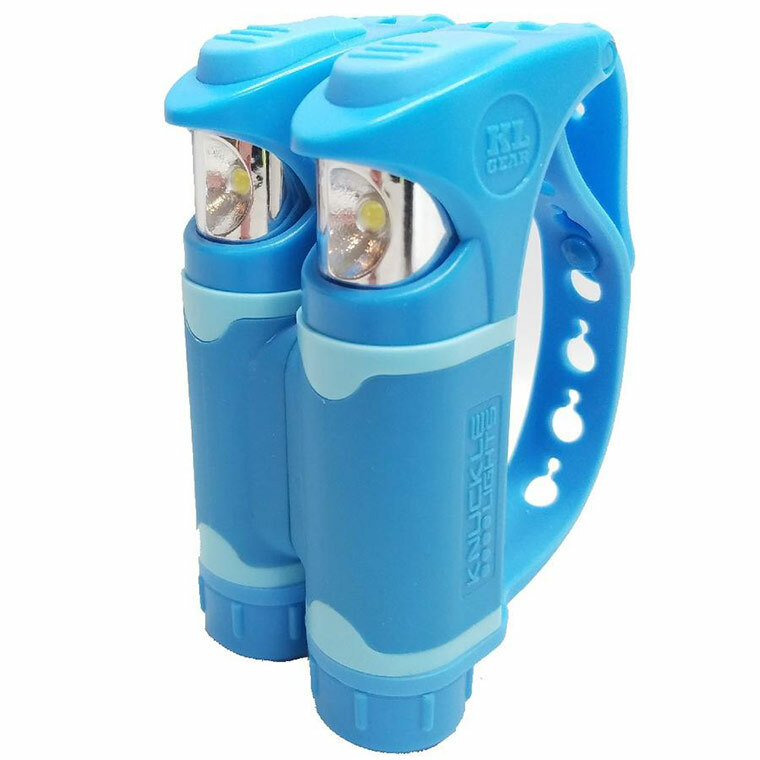 They’re battery-operated, safe for use in all kinds of weather, and each light in the set of two put out a broad, bright light (so there’s very little noticeable bounce as you run or walk). It’s important to remember that just because you might be able to see where you’re going fairly well, that doesn’t mean you’re fully visible to others. And it’s not just motorists (although, obviously, that’s probably the biggest concern) — I can’t tell you how many times I’ve been out running and nearly collided with someone who’s out with no lights. So, in addition to using lights (like the Knuckle Lights I mentioned earlier), make sure you’re decked out in something reflective. CEP has new Nighttech Compression Socks that are awesome. I’ve long been a big fan of CEP socks for their incredible quality and the progressive compression, and I think having reflective patterns on arms and legs is key (because those are the areas that move, and therefore are more likely to grab the attention of others). Plus? They just look like patterned socks, so if you’re wearing them during daylight, you’ll still fit right in. That goes for four-legged friends, too! If you’re out walking your pup, remember that even if he’s connected to you on a leash, that doesn’t mean people can see him — and unless he’s stuck to you like velcro, that could be dangerous when crossing roads or passing other pedestrians or cyclists. 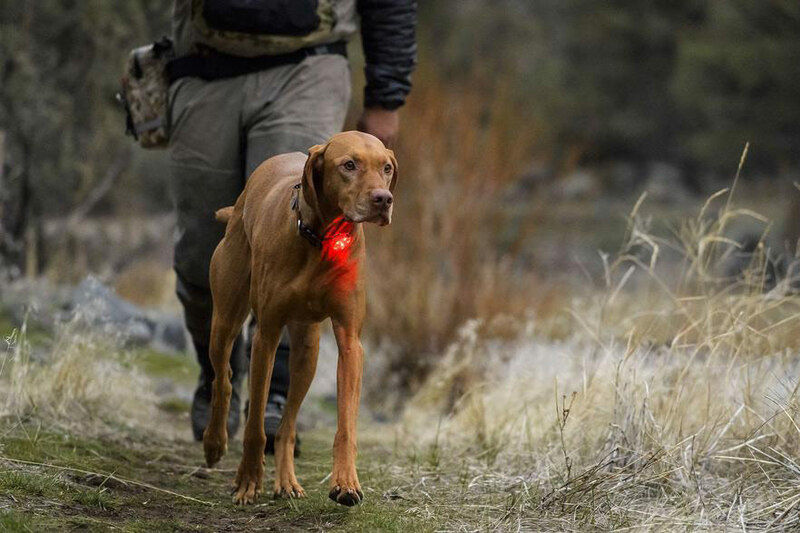 Ruffwear has a number of products to make sure your dog is easy to see, like the Beacon Safety Light, which attaches to your dog’s collar or harness and is durable, waterproof, bright, and rechargeable; the Patroller Leash, which has reflective details all down the sides and is designed to make going from on-leash walking to off-leash play super simple (it fastens around your waist when not in use as a leash); and the Track Jacket, which is a durable, waterproof, high-visibility reflective jacket that’s lightweight and easy to put on and take off. Of course, visibility isn’t the only safety issue at play. 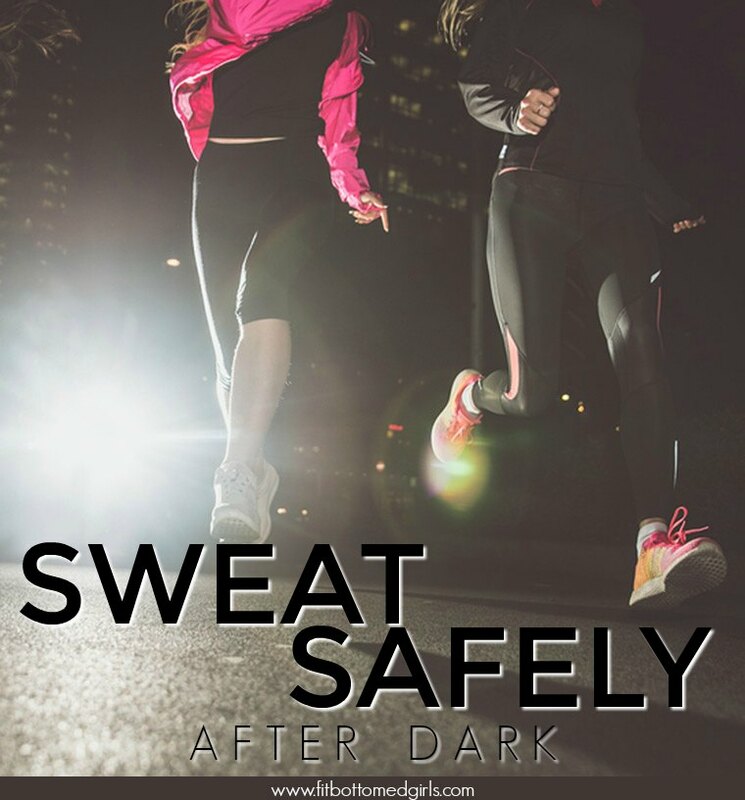 If you’re going out for a walk or other workout after dark (or any time, really), use common sense. Leave the earbuds at home if you’ll be on a road or in a remote location so you can be fully aware of your surroundings, and, when possible, let someone know where you’re going and when you’ll be home. Or, even better, enlist a friend to join you! I really appreciate the product suggestions for pups. We have two dogs, and walking them after Daylight Savings gets tricky because it’s so dark. So hard to get motivated! I’m going to try the knuckle lights. Buying new stuff means I’ll have to get out there!